The host nation heads a field of eight teams including newcomers Peru, Ukraine and Taiwan, competing for the coveted title. The Nations Cup is the leading international tournament organised by the International Federation of Match Poker (IFMP) which was granted Observer Status of the Global Association of International Sports Federations (GAISF) in 2018 and which now has 68 member federations worldwide. The development of bespoke technology allowing the games to be played on mobile devices rather than using traditional cards has been a milestone development. There is no gambling in Match Poker and the sport is available to players of all ages and genders worldwide. Match Poker does not rely on any element of luck specifically integrated into the sport. IFMP has successfully developed the Match Poker technology including innovative use of smartphones in game-play and administration, making Match Poker a true 21st century mind sport and eSport. Patrick Nally, President of IFMP, says the Nations Cup is ‘yet another milestone’ in the continued development of the sport. “The presence of teams from Ukraine, Peru, Denmark, Taiwan and India indicates how fast Match Poker is gaining traction around the world. Poker is the world’s most popular card sport and the Match Poker variant cuts through the cultural barriers and negative perceptions associated with the root game to enable everybody to compete in competitions which reward skill and not luck,” he said. Match Poker is a team sport where the luck element in conventional poker via the “random draw of cards” has been removed. 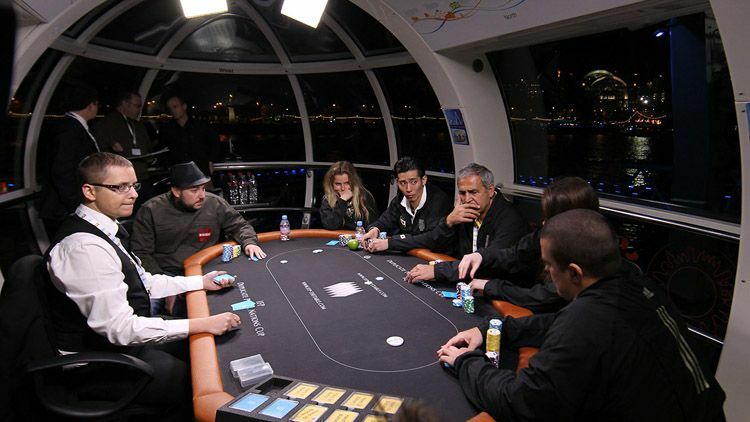 Far from being another poker ‘variation’ to sit alongside Texas Hold’em, Omaha and Stud etc. it is in fact a revolutionary approach for how any of these variations can be structured into meaningful and sporting competition through a more skill based format. Match Poker was devised by the International Federation of Match Poker to reduce the element of luck inherent in traditional forms of poker, ensuring that it is a contest based on players’ skill and conforms to the accepted definition of a sport. Match Poker is a team sport incorporating regular Texas Hold’em, albeit typically with a pot-limit preflop and no-limit post-flop structure. The same cards are dealt at all tables (hole cards and community cards). This means that every player in seat 1 (each from a different team) has identical cards. The same is true in every other seat. This allows the best players and the best teams to be identified. Each team’s combined chips are compared after every hand and points allocated accordingly. Players reset their stacks and the next hand begins.